From sitting out his senior year at Clovis West while recovering from shoulder surgery to making highlight-reel plays at Nebraska, Adrian Martinez showed college football what the Central Valley already knows: he’s a star. 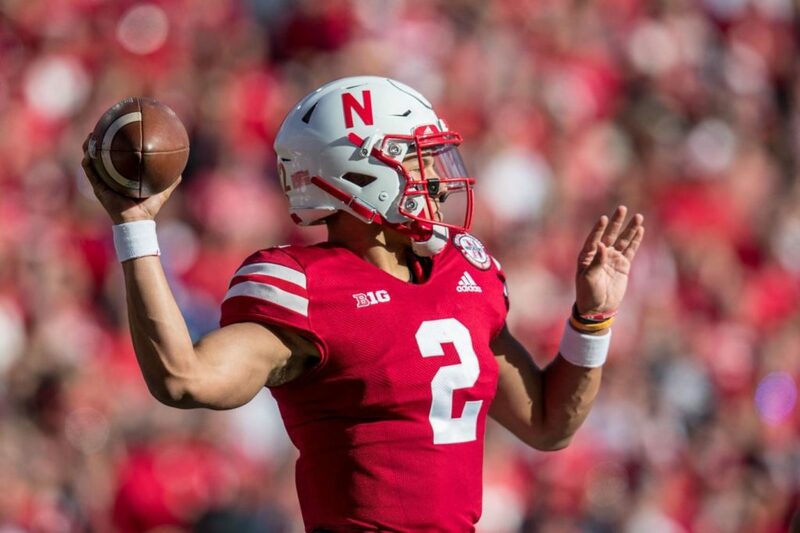 Martinez, who doesn’t turn 19 until January and was the first true freshman starting quarterback in school history, completed a historic and brilliant season for the Cornhuskers with 2,617 passing yards, 17 touchdowns against eight interceptions plus 629 rushing yards and eight more scores in 11 games. The 6-foot-2, 220-pounder made his presence known on the national scene as he led all freshmen with 295.1 yards per game of total offense in addition to his seven 300-yard games, a Nebraska record. His 64.5 completion percentage ranks second all time in school history and his total yardage (3,246) is good for fifth best. And true to form, the big stage wasn’t too big for Martinez at then-No. 8 Ohio State on national TV in front of 100,00 rabid Buckeye fans when he threw for 266 yards and a touchdown, and added 72 yards on the ground with two more scores in a tight 36-31 loss. Though Nebraska won four of its last six games to finish 4-8 overall under first-year coach Scott Frost, Martinez’s college career got off to an inauspicious start when the season opener against Akron was cancelled right after the opening kickoff due to severe weather. The next week at home against Colorado, Martinez injured his knee in the third quarter of a 33-28 loss and had to sit out a 24-19 home upset at the hands of Troy the following week. However, in that Colorado game, Martinez’s first college touchdown was a memorable one when he read a zone-read perfectly, sidestepped a defender in the backfield and sprinted 41 yards before diving and somersaulting into the end zone. At Michigan in Week 4 and wearing a knee brace, Martinez played only in the first half in a 53-10 loss. The Huskers first win of the season came Week 8, a home 53-28 victory over Minnesota, arguably Martinez’s best of the season when he completed 25 of 29 passes for 276 yards, three touchdowns and no interceptions, adding 125 rushing yards on 15 carries and one touchdown. In the season’s final game at Iowa, Martinez rallied the Huskers to a 28-28 tie in the fourth quarter before the Hawkeyes won on a walk-off field goal. The future for Nebraska with Martinez at the helm certainly looks bright, and the Big Ten is on the alert. Along with Martinez, who earned Big Ten honorable mention honors, the Huskers will return two offensive weapons with fellow freshman and running back Maurice Washington and sophomore receiver JD Spielman. Frost, the starting quarterback at Nebraska from 1996-97 who won a national championship in 1997, witnessed first hand the steady improvement Martinez made throughout the season and certainly knows the special player he has. “Now he’s to a point where he’s playing at a level that is among the best in our league, and maybe in college football at his position,” Frost said before a 9-6 home win against Michigan State, a game where Martinez led Nebraska to three fourth-quarter field goals in freezing conditions.